She was beyond amazing. Made me feel comfortable, she was professional and would definitely recommend. Loved Dr. Nottingham. She was very friendly and knowledgable. She was efficient while taking the time to make sure my questionsand concerns were addressed. The wait was a bit long, and she apologized. I dont blame her though, it happens and she is worth the wait! Loved Dr. Nottingham. She was very friendly and knowledgable. She was efficient while taking the time to make sure my questions and concerns were addressed. The wait was a bit long,and she apologized. I dont blame her though, it happens and she is worth the wait! ***PLEASE CHOSE A SPECIFIC VISIT REASON! PLEASE ONLY CHOSE ENT CONSULT IF NO OTHER OPTION APPLIES. HEARING LOSS, RINGING AND DIZZINESS REQUIRE ADDITIONAL TESTING - PLEASE CALL OUR OFFICE TO ARRANGE! *** Dr. Liesl K. Nottingham grew up in Silver Spring, Maryland. She graduated from the University of Pennsylvania School of Engineering and Applied Science in 1994 and the University of Pennsylvania School of Medicine in 1999. She completed her internship in general surgery and residency in Otolaryngology – Head and Neck Surgery at the Vanderbilt University Medical Center. She completed a basic science and clinical research fellowship in Head and Neck Oncology at the National Institutes of Health in 2007. 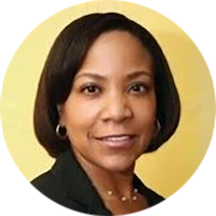 She served as a staff clinician for the NIH/NIDCD Division of Otolaryngology/Head and Neck Oncology in 2007/2008 and will continue to have a clinical appointment in the Division. Dr. Nottingham is board certified in Otolaryngology - Head and Neck Surgery. She is an active member of the American Academy of Otolaryngology – Head and Neck Surgery and was appointed to serve in the Young Physicians Committee for 2009 – 2010. She practices all aspects of Otolaryngology. Her special interests include voice disorders and head and neck oncology, including endoscopic laser surgery. She has a particular interest in advancing clinical research to treat patients with head and neck cancer. She lives in Bethesda, Maryland and enjoys yoga and ballroom dancing. She was friendly, comforting and thorough. After 4 visits and a tonsillectomy, I still have severe throat pain. There is still so resolution to my pain and no reason was ever discovered. Awesome consultation, I’m going to very happy with my new ENT DOCTOR!!!! Dr Nottingham was excellent with my 7 year old.. She had been nervous and was treated with such care and humor that she felt like she had a part in the appointment. My check in experience was less than desirable, however.I stood at the front to check in for 5 minutes without being acknowledged. Another patient filling out paperwork mouthed to me I would have to approach the desk and not until then did they say they would be with me in a minute. The whole process was 30 minutes as I arrived at 2:35 and went to the waiting room at 3:05 noting I had my paperwork filled out already. Working in a medical setting myself, this seems excessive. I realize they were busy, but efficiency and customer service were poor. I was able to fill out all the paperwork online in advance of my appointment so I didn't have to sit in the waiting room doing it which was very convenient. Once I was checked in, I was asked to waitin the comfortable waiting room, but had barely sat down when my name was called and I was taken into an examination room by a very nice young lady who took my vitals. After a wait of a few minutes Dr Nottingham came in, listened to what had to say (! ), asked me questions, and proceeded to give me a very through exam. She answered all my questions and we set an action plan. What can I say? It was everything one could want in a doctor's office visit. Dr. Nottingham was very quick, very pleasant and dealt with my issue. I would recommend her highly. Dr. Nottingham is still the best. Her bedside manner is fantastic, especially with kids. She is thorough and knowledgeable and a great surgeon too. Can't recommend her enough. Her office staff were also so kind with my daughter today (she wasfeeling really bad). There's always easy parking and we've never had a long wait at her office. Dr. Nottingham has seen both of my daughters. She did the tonsillectomy for my eldest daughter and has excellent bedside manner with children. Both of my girls loved her and felt very at ease with her. She also takes the timeto really explain everything to both the parent and the child. Dr. Nottingham diagnostic skills are impressive. Her physical exam combined with what she deciphered from my medication list enabled her to see clearly my problem. I have had multiple ear and sinus infections for over 3 years. Living in Chicago I had seen several ENT and even primary care physicians in an attempt to get some relief. Dr Nottingham was highly recommended and when I knewI was going to be in the area on business I made an appointment. Amazing! She spent time carefully explaining to me the CAT scan that I had completed with my physician in Chicago and was able to thoroughly explain my condition ( which was totally different that what I had been told) and provide an optimal solution that gave me both symptom relief and confidence that I had chosen the right doctor after three years of trying to obtain treatment. I HIGHLY recommend Dr. Nottingham, excellent bedside manner, personable and extremely intelligent, yet I felt comfortable enough to speak to her openly. Great experience! The front desk staff were quick and efficient. The nurse was friendly and professional. Dr Nottingham was great...very easy to talk to and she listened to me with interest. (Hate when Drs don't look at you while you talk). She relievedmy worry in 2 minutes and knew just how to treat my malady. I'm very pleased and would highly recommend her. I take my 6 yr old regularly to Dr. Nottingham and she loves her. She is very patient with my daughter, has a very soothing voice and makes her feel very comfortable! Dr. Nottingham is everything a physician should be: caring, empathetic and absolutely skilled--at the top of her game. I would recommend her to anyone seeking a very competent ENT specialist. In the moment you think everything is wonderful. Nothing more occurred than what my Primary Care Physician did: look in my ear, feel my throat, and prescribe an OTC. I thought the whole point of a specialist is that they wouldtest you for things. Perhaps I am mistaken and you can take this review with a grain of salt. But as it stands that was a lot to pay out of pocket and nothing more than a sleep study was offered. I do love the office atmosphere, the staff is extremely professional, and she did answer all of my questions. And the follow-up is nice to have as well. This is why I am scoring so highly. Perhaps my expectations were higher to have a scope or something more. But I do recommend this office and Dr. Nottingham with my current understanding of what is supposed to occur at an ENT. I have had sharp pains in the neck and several small lumps in the area under my chin. My primary care doctor is concerned about these symptoms. So, I go to see an ENT - Dr. Nottingham. Dr. Nottingham did nottake my health issues seriously. She looked at the area above my neck and under my face and then massaged it for about 10 seconds. She asked a few questions. That was it. No tests were ordered. The outcome of the appointment was that she recommended that I drink more water. I left the appointment very frustrated, since it took significant time and money for me to get to the appointment and pay for it, and she essentially did nothing. I subsequently saw another doctor who diagnosed the problem, treated it with medication, which was followed by resolution. I went to see Dr. Nottingham about some pain I was having in my ears while flying. She was kind and warm, did a thorough exam and after finding nothing wrong she gave me some advice on what to do nexttime I fly to avoid pain. Her advice worked great, hardly and discomfort in my inner ear on take off or landing. Would definitely recommend her. I was promptly attended to at the front office. The staff in general throughout my visit were helpful, patient, and professional. Dr. Nottingham was very easy to communicate with, made me feel comfortable, and fully answered my questions.Moreover, she had a sense of humor, which I was not looking out for! The office staff was pleasant and helpful. Dr. Nottingham was a good listener and suggested treatment options and encouraged me to return in 30 days to report on my progress. She's personable and professional. I would highly recommend her. Dr. Nottingham addressed my list of issues in a professional manner. She discussed options and developed a treatment plan. The office staff was pleasant and professional. very attentive, helpful advice, asked all the right questions, collected and documented a lot of information. I have only great complemnets for her. I've seen Dr. Nottingham twice and this is officially my favorite medical practice of all time. The front office, the young woman who took my vitals and my history, and Dr. Nottingham are all top-notch. And I was seen within twominutes of my appointment time, which hasn't happened to me in probably 15 years. I would recommend her without hesitation. Extremely helpful advice was given that included practical and preventative care! I felt vey comfortable. She was very patient and attentive to what I had to say. I will recommend her to my co-workers . She was great at the time - but I had issues with my prescription that she never resolved so I was unable to get the medication prescribed to me after 2 months of attempting to reach out and my condition hasnow worsened. Will never recommend anyone to that practice. Dr. Nottingham has wonderful bedside manner - never seems in a rush. Today she explained the answers to all of my questions very carefully and with charts and a model, which was very helpful. She was very encouraging about my progress. This was my first appointment with Dr. Nottingham. I was very impressed. She was very professional and kind, she explained every process that she was doing and why, she gave me a good review of what she found or didn't findafter her examination of my throat. I felt that the exam was very thorough. As you can probably tell, I liked her very much! My visit with Dr. Nottingham was great. She listened to my concerns and seemed very willing to try and help me with my issue. I would highly recommend her to anyone with ear, nose, or throat issues. She is wonderful! I've been to 2 other ENTs in the area and she is by far the best i've ever gone to. Dr. Nottingham is fantastic. Always quick to get me back onto the road to recovery and really listens to everything I have to say. Can't say enough good things about her.